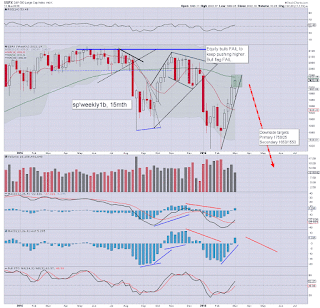 Despite a fourth consecutive net weekly gain, all US equity indexes remain broadly bearish. 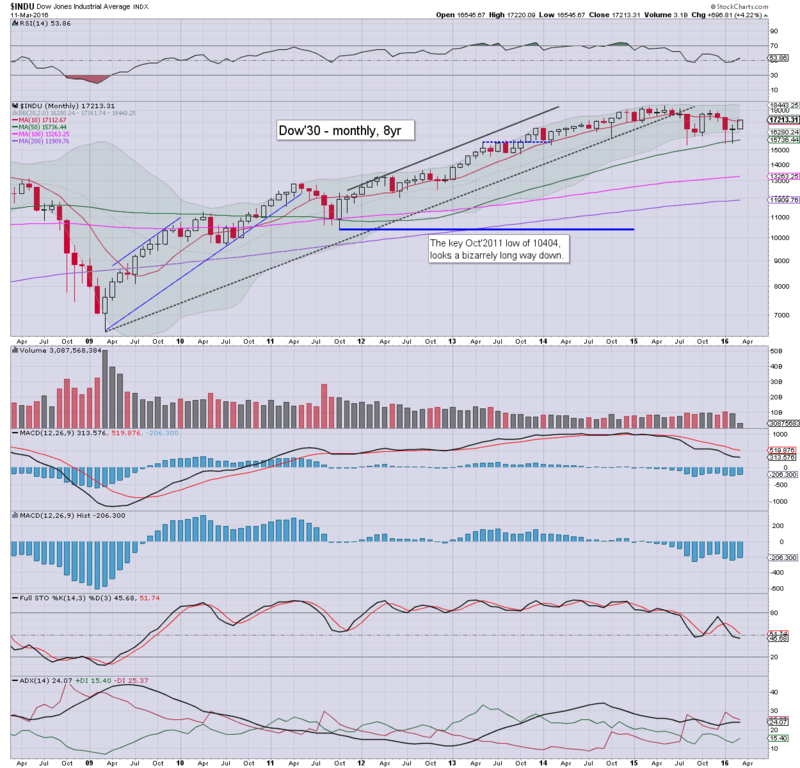 Unless the bull maniacs can attain a March close above sp'2020.. with Dow 17400s, there is zero reason to change the broader bearish outlook for the spring, and into the summer. 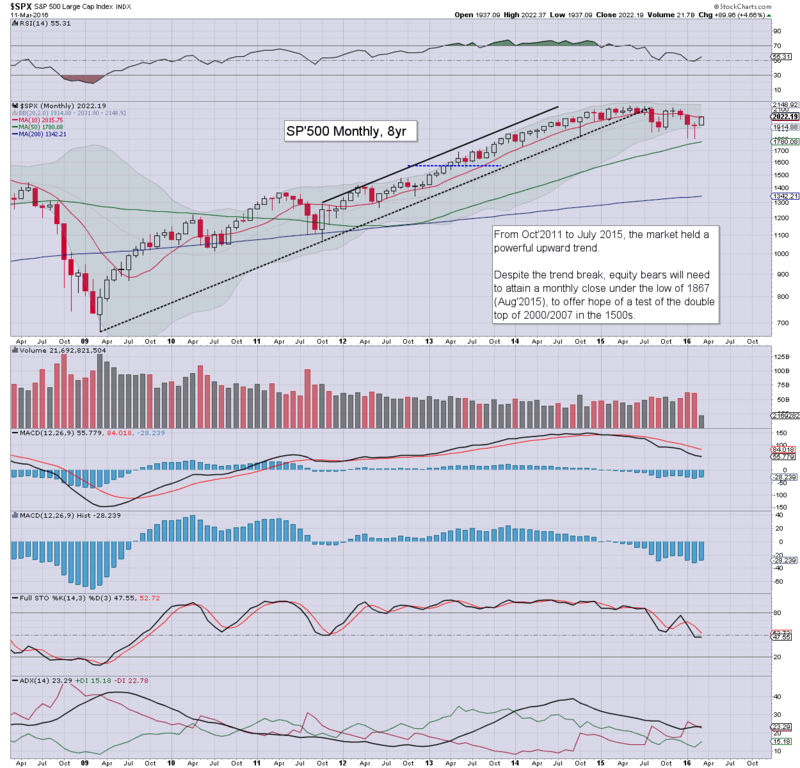 The sp' is currently net higher on the month by 4.7%, having climbed from the Feb'11th low of 1810. 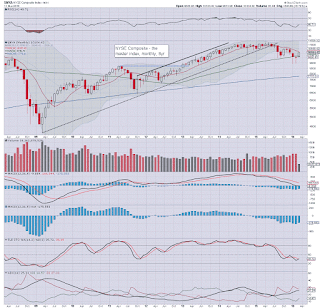 With a weekly close of 2022, the sp' has achieved an initial break above the monthly 10MA - currently @ 2015. Underlying MACD (blue bar histogram) cycle is starting to tick upward, but remains deeply negative. 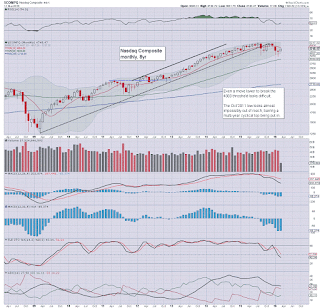 If the market rolls over again, a bearish MACD cross will be viable in May. Best guess: an FOMC ceiling in the 2038/43 gap zone, with cooling into end month... at least resulting in a March close under the 2K threshold. 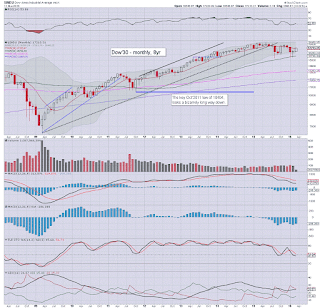 As things are, it seems extremely unlikely that the sp'500 will see a monthly close >2020 in March, or indeed until Q4 of 2016. The tech' is currently net higher for March by 4.2%, having climbed from 4209 to 4748. First resistance remains the 10MA @ 4860. That will likely hold in March. First downside target is the 4K threshold. Sustained action back above the giant psy' level of 5K looks out of range for a long.... long time. 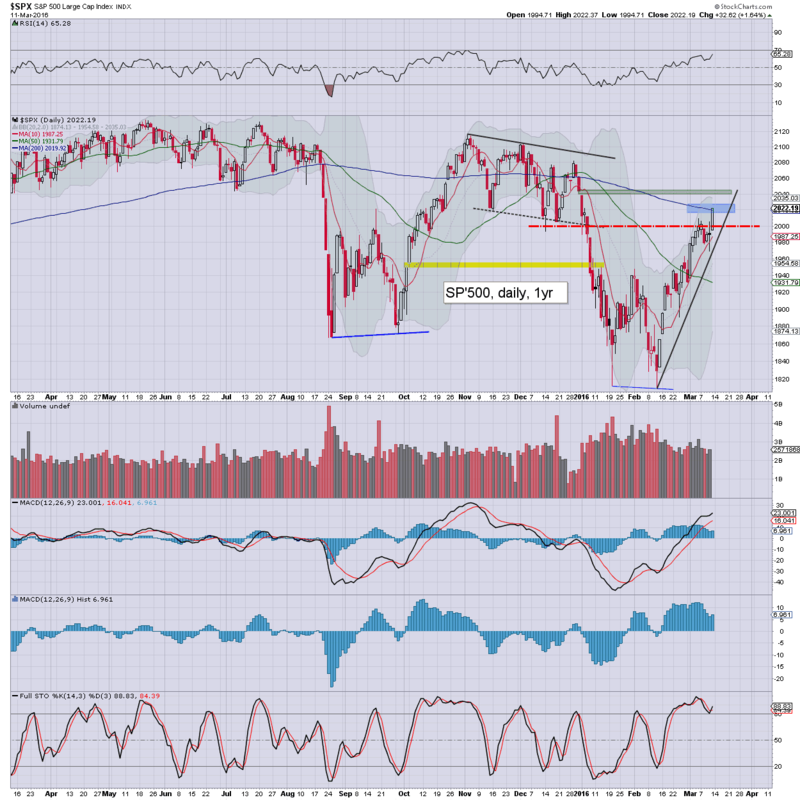 The mighty Dow saw a net weekly gain of 206pts (1.2%), settling at 17213. Having cleared the 200dma, next resistance is the gap zone of 17405/425. Sustained action >17400 looks extremely difficult. 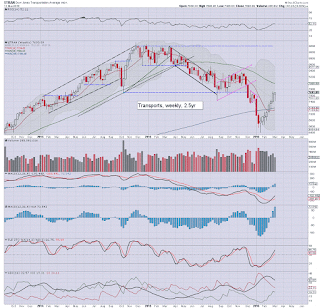 Equity bears should be seeking a break of the Aug'2015 low of 15370, and that is a clear 10% lower. Primary downside target is the 14200/000 zone, and then 13500. Sustained action <13k looks very difficult. 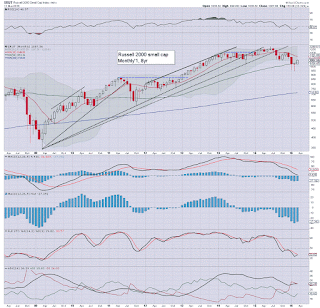 The master index is currently net higher for March by 5.7%, but remains under the increasingly bearish 10MA (10197). Sustained action above 10200 looks very difficult. In the case of another rollover, first downside target is the 8K threshold. The second market leader - R2K, has rallied from a Feb' low of 943 to 1094. There is powerful resistance at the 1100 threshold. It is highly notable that at the April 1'st open, the MACD (black line @ 4.436) will likely be crossing below the zero threshold. The last time that happened: June 2008. Primary downside target for the late spring/early summer is the 875/850 zone. 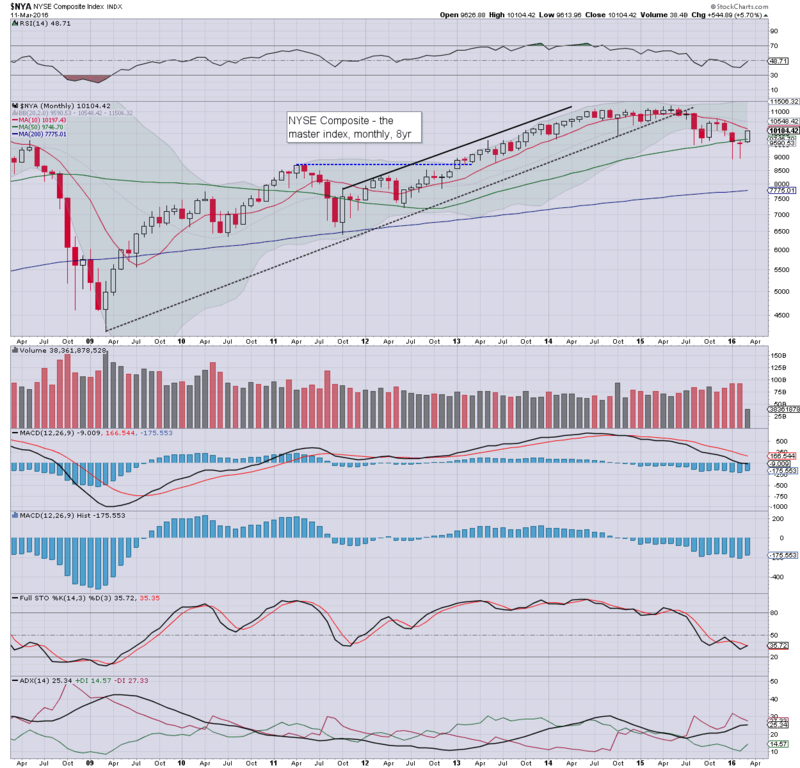 The 'old leader' - Trans, is currently net higher for a second month, but there is huge resistance at the 200dma in the 7800s. Sustained action above the 8K threshold looks very unlikely in the near/mid term. With resumed downside, first target will be the 6000/5500 zone. The US equity market continues to battle upward from the Feb'11 low. 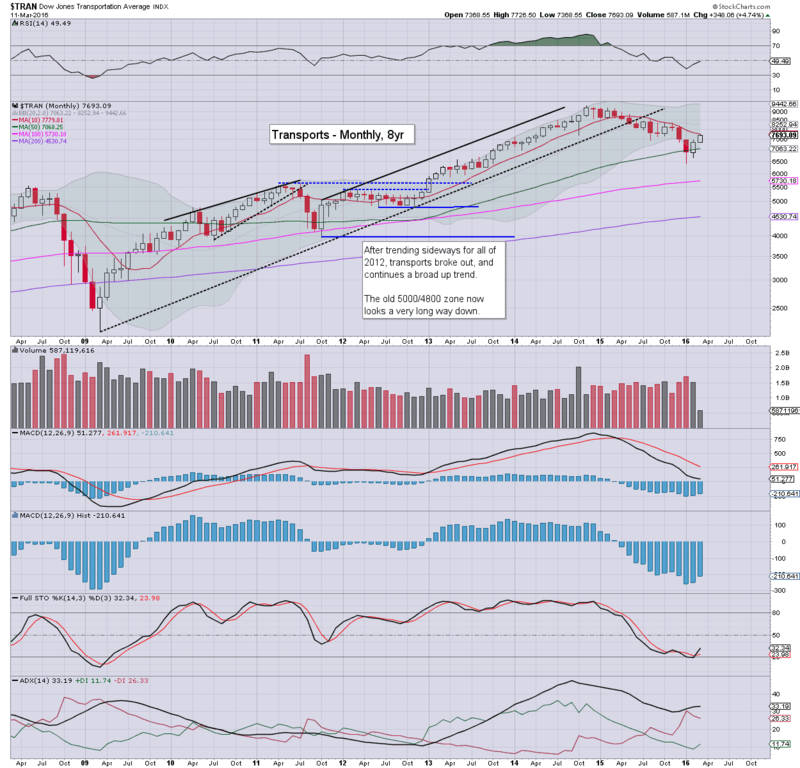 Most indexes are now approaching multiple aspects of key resistance on the giant monthly cycles. The rest of March will be very important indeed. 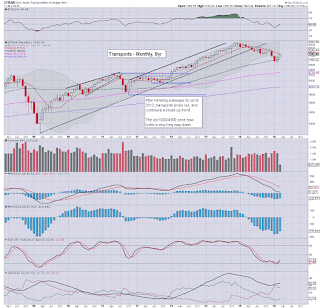 The equity bull maniacs should be fighting hard for a monthly close >sp'2020. On the flip side, equity bears should be increasingly desperate to see a March close with the sp' <2K, along with Dow <17K. For extra confirmation, a monthly close of VIX >20. The week will begin quietly, but there is a fair amount of key data on both Tues' and Wed'. The main event of course, will be the latest FOMC. The FOMC will issue a press release at 2pm. Yellen will give a press conf' around 2.30pm, and that will last around an hour. 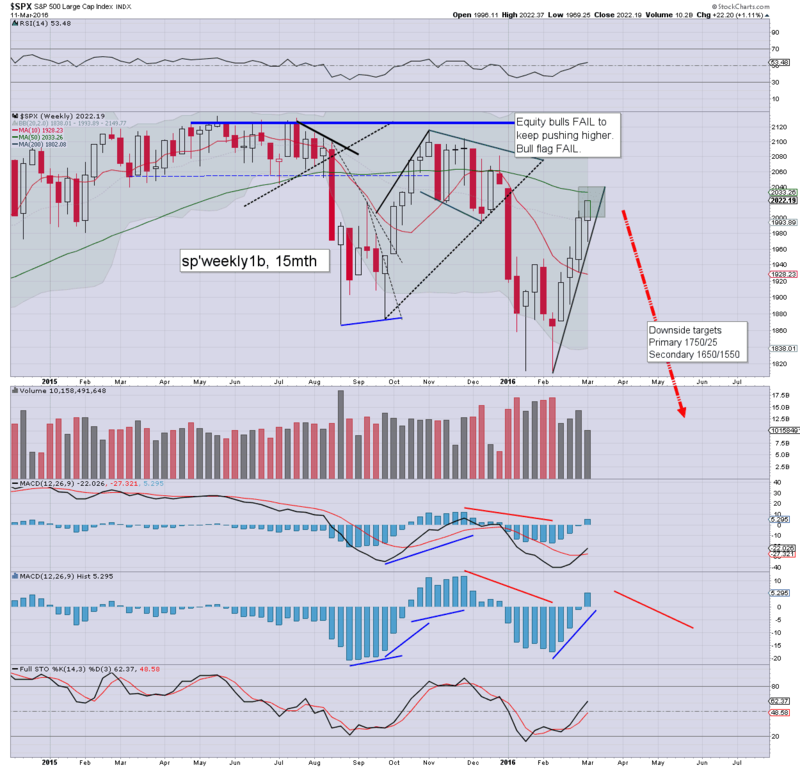 Friday is quad-opex, so expect some dynamic price action into the weekly close. Bullard is always a threat to the equity bears, and if the market has already cooled from Wed' afternoon to Friday afternoon, comments from Bullard could cause a closing hour ramp. Bears.... beware! US equity indexes saw a fourth consecutive net weekly gain, with the sp +22pts (1.1%) @ 2022, having rapidly recovered from a Thursday low of 1969. Near term outlook offers the 2038/43 gap zone, before the market likely maxes out. First soft downside target after the FOMC will be the 1930/20 zone. 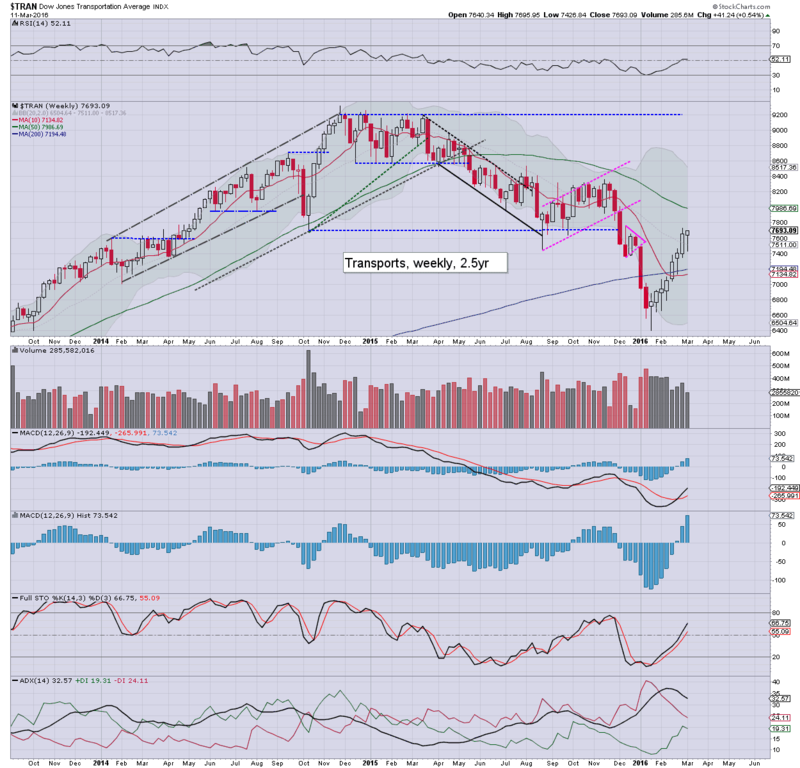 *It is highly notable that the 'old leader' - Trans, saw an eighth consecutive net weekly gain, the best run since the 9 week run of gains in March-May 2009. Its been a pretty interesting week... and I'll leave it at that. 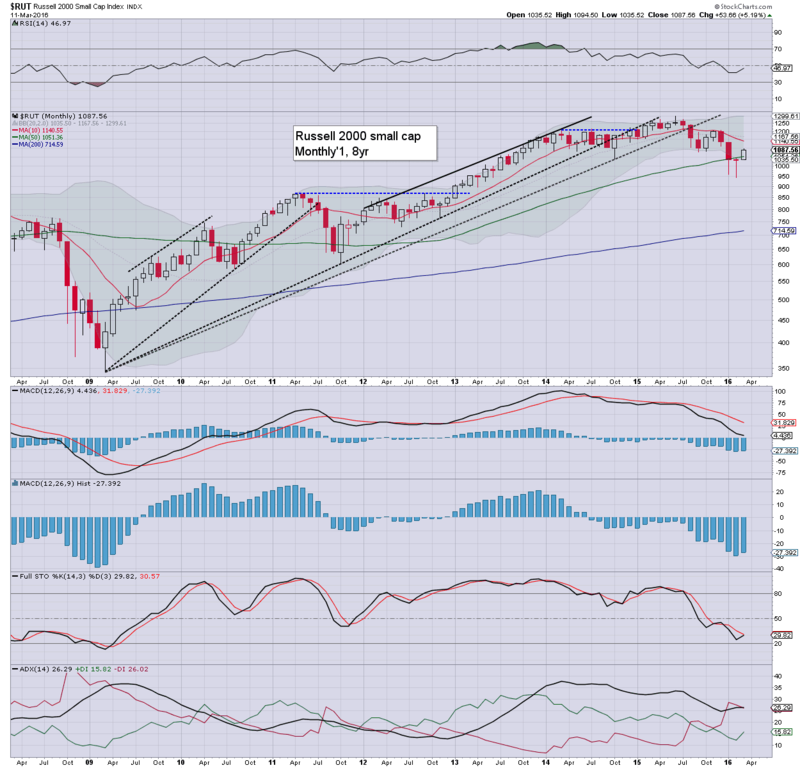 US equities ended the week on a significantly positive note, sp +32pts @ 2022. The two leaders - Trans/R2K, settled higher by 2.3% and 2.2% respectively. 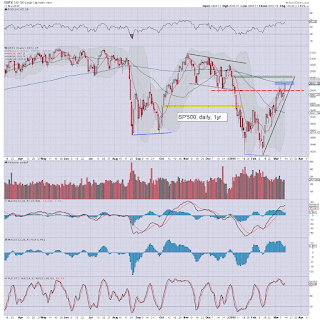 Near term outlook offers further upside to the 2038/43 gap zone, before a key top is put in. 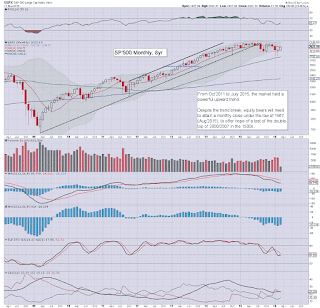 After the FOMC of March 16th, equities should begin cooling. The Dow and sp'500 haveboth broken above their respective 200dma, with next resistance at the gap zone of 17405/425, which would directly equate to sp'2038/43. 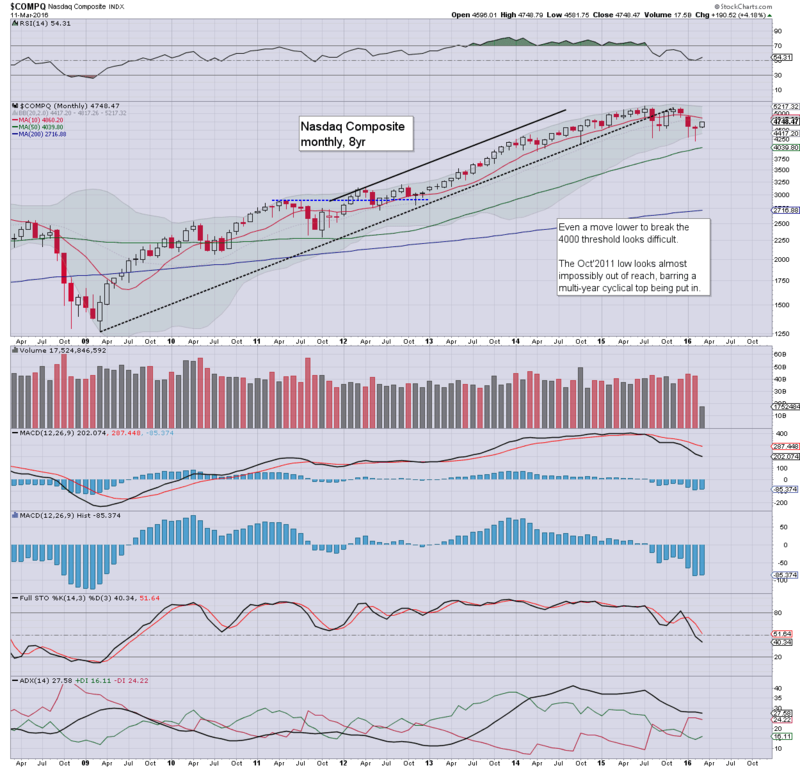 So long as the indexes do not sustainably hold above the 200dma into end month, equity bears are still in broad control.